Thomas Farnaby was born in Stokesley in 1892. He was the son of Robert Farnaby, a gardener/labourer and Sarah Mankin, who married in the Middlesbrough district in 1885. Robert was a Stokesley man, born in 1854 and the son of an agricultural labourer. He followed his father’s occupation and was still living with his parents on North Side, Stokesley when the census of 1881 was taken. Sarah on the other hand was born Sarah Wood in Marske in 1853. When she married Robert Farnaby in 1885 she was a widow and already had a step-daughter (Harriet) and a daughter, Mary Elizabeth, by her first marriage. (Sarah had married Robert Mankin in 1880 in Middlesbrough district. Their daughter Mary Elizabeth was born in 1881. Robert Mankin died in 1883). In the 1891 census Robert and Sarah Farnaby were living in West Row in Stokesley with their children Willie (born 1886), Mary (1888), and Sarah’s own 9 year old daughter who was then known by the name of Polly Farnaby. Ten years later, “Polly” had reverted to the name Mary Mankin and was working as a servant for John Forster the Primitive Methodist Minister. Robert and Sarah were still living in West Row with the 3 children of their marriage, William, Mary and Thomas. Amongst their near neighbours were the Shore family and the Glaspers. The three families were all to share the grief of loss in the Great War, and the greater desolation of knowing that their sons had no known grave. In 1911 Thomas Farnaby, who was an apprentice painter, was still living with his parents and the census form bears his father’s ‘mark’; apparently Robert was illiterate. 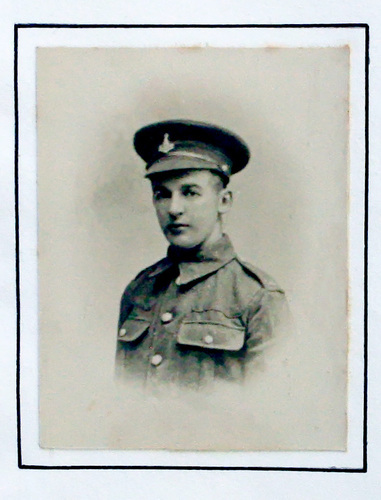 The Book of Remembrance tell us that Thomas had barely finished his apprenticeship when he joined “Kitchener’s Army” in 1914 and that he spent that Christmas at Richmond camp. Thomas Farnaby had enlisted as Private 18246 in the 6th Battalion of the Yorkshire Regiment. This unit had been formed on 25th August 1914 and was part of the 32nd Brigade, 11th (Northern) Division. They spent several months training in England. In December 1915 the allied forces were evacuated from Gallipoli and moved to Egypt, landing at Alexandria on 2nd February 1916. On 19th they took over the defence of the Suez Canal. This was a relatively safe posting, but the respite was not to last. Plans were afoot in France for a mighty offensive to break the German lines, roll up their forward positions, and strike a knockout blow. This was the Somme Offensive, timed to begin on 1st July 1916, and destined to be a disaster even greater for the British Army than Gallipoli had been. It was the lot of the 6th Yorkshires to be involved in both actions! On 17th June 1916 the 6th Yorkshire Regiment was ordered to France and on 27th July they took over part of the front line in the 3rd Army Sector. As the Somme campaign continued, in September that year the Battle of Flers-Courcelette was fought. Many of the British commanders thought that the army had already suffered too many casualties in the July attacks, and that it was not prepared for this battle. It was even suggested in some quarters that the offensive should be put off till the following year. However, High Command had very serious concerns regarding the morale of the French troops if they felt that British support was not forthcoming, and this, together with the weakness of the Eastern Front following the Revolution in Russia, led the commanders to proceed. It was in the initial offensive near Flers that tanks were used for the first time in war. It was during this campaign that Private Farnaby fell, but ironically while his unit was “resting” from the front. (Men generally spent a few days on the front line, than a few days resting, then went back to the front again, a procedure that helped to keep the morale and readiness of the defenders at optimum levels). It was while Thomas Farnaby was supposedly ‘out of danger’ at la Boiselle in the rear that on 28th September 1916 an enemy shell landed in the middle of a group of soldiers, killing him and 4 or 5 others. According to the Book of Remembrance he was buried with them in a common grave at Bouzincourt Cemetery. His funeral was carried out in the presence of another soldier from Stokesley. 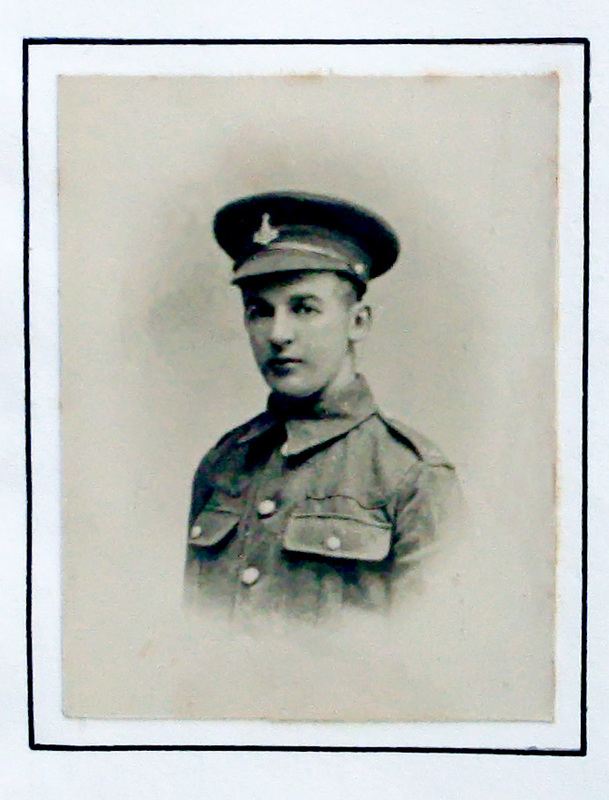 Private Farnaby was 24 years old when he fell. He was awarded the British War Medal and the Victory Medal as well as the 1915 Star. However there is now no official record of Thomas ever having a grave at Bouzincourt, or indeed anywhere else. Officially, Tom Farnaby therefore has no known grave, but his name is commemorated on Pier and Face 3A and 3D of the Thiepval Memorial to the Missing. Go to next soldier: Fishwick W.